Delta Force Paintball holds your safety as our utmost priority. 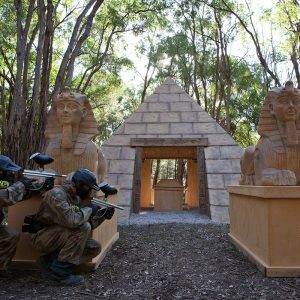 We have invested heavily into providing state-of-the-art equipment for all players so that your paintball adventure is the safest and most comfortable in Australia. The reason for this safety equipment, in particular the full head protection goggle system, is due to our impressive 0.68 calibre Inferno Paintball machine gun. This gun offers serious accuracy and firepower and will let you live out your wildest dreams of cops and robbers on the paintball field. Before you are handed the gun, our team of gunsmiths will double-check all of the equipment and test the guns to ensure they are firing at the correct velocity. The lightweight design and fast-firing action will ensure you have a fun and enjoyable, yet action-packed paintball experience. 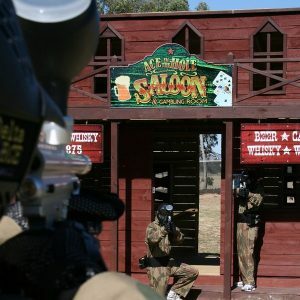 At all times when handling the paintball gun you will need to adhere to the safety rules and regulations. These are high-powered guns that are safe to use in purpose built paintball arenas, however can become dangerous when people do not follow the safety instructions. 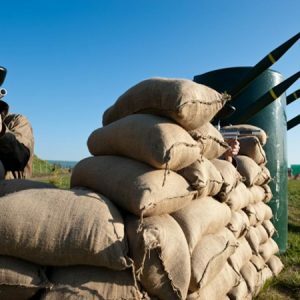 No paintball guns are to enter the safe zones, which include the base camp and other areas determined by the staff. When you have the paintball gun and are walking to your game zone be sure to always have the safety on and hold it by the handle. That way no shots can accidentally go off and shoot your teammates. When you get out to the game zone and are instructed by your marshals, take off the safety and get ready for the thrills of paintballing! Whether you like to shoot everything that moves or work on a one-shot one-kill basis, the Inferno paintball gun is extremely reliable during battle. If you have any questions about the paintball gun on the day be sure to ask our friendly marshals. They love what they do and will happily share some tips and tactics with you. For more information on equipment used at Delta Force click here.